A tax shield is a reduction in taxable income by taking allowable deductions. AccountingTools says that a tax shield is "the deliberate use of taxable expenses to offset taxable income." 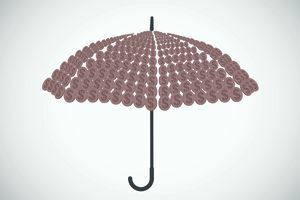 While tax shields are used for tax savings for both personal and business tax returns, this article focuses on tax shields for businesses. What Are Some Examples of a Tax Shield? Deductions for medical expenses for individuals. If expenditures on medical expenses are greater than the standard deduction, the excess expenses are tax deductible. If you are considering major surgery, for example, you might want to look at whether you want the tax shield in one year or another, to lower your taxable income. Charitable deductions for individuals and businesses. Charitable giving is a deductible expense for both individuals and businesses. For an individual to take a tax deduction on charitable giving, they must itemize deduction. Corporations can include charitable donations with some limits and restrictions. A mortgage is a classic tax shield for both individuals and businesses. Note that it's not the amount of the mortgage payment that's deductible; it's the interest expense. Businesses can take a depreciation expense on the purchase of business property, including equipment, furniture and fixtures, and vehicles (but not land). Depreciation is basically a way to spread out the expense of buying a business asset over the life of that asset. Accelerated depreciation allows you to depreciate more of the asset in the first year or two, and it's a great example of a tax shield. The two types of accelerated depreciation are Section 179 expenses and bonus depreciation. How Does a Tax Shield Save on Taxes? Tax shields are part of an overall financial strategy. Look at it this way: As a person or a business, you can get tax deductions for certain types of purchases and activities. You can do this by accident, buying whatever you want whenever you want. Or you can save on taxes deliberately by planning purchases to take advantage of tax shields. For example, a business is deciding whether to lease a building or to purchase the building. Taking on a mortgage for the purchase of a building would create a tax shield because mortgage interest is deductible. If the business puts the tax shield benefit from the mortgage into the decision, the tax benefit of a mortgage might make the decision easier. What Are the Benefits of Tax Shields? Increase expenses, though they lower taxable income. Decrease cash on hand, but they put money into investments that provide a higher return. A tax shield also increases the value of a business, which is important if you want to sell your business or get loans and investors. The effective tax rate of the business. The easiest calculation is to take the amount of the deduction for the year and multiply it by the tax rate of the person or business. As you review tax shields, compare the value of tax shields from one year to the next. If your business has a higher income and a higher tax rate in one year, the amount of tax savings will be higher in that year. How Does the 2017 Tax Reform Package Affect Tax Shields? The Trump Tax Cuts have several effects on tax shields. The main change is the reduction in income tax rates, beginning with 2018 taxes. The corporate tax rate has been reduced to a flat 21 percent, starting in 2018, and personal tax rates have also been reduced. Another big change is that the standard deduction on personal tax returns has been doubled, decreasing the value of some tax shields, like mortgage interest and charitable giving. Taxpayers won't be able to take advantage of these tax shields until they reach a level of deductions over the standard amount. Read more about the Trump Tax Plan and how it affects deductions. The best way to maximize the tax-saving benefits of tax shields is to take the "tax shield effect" into consideration in all business financial decisions. Of course, tax savings shouldn't be the only consideration when you are planning your tax strategy for the year, but leaving tax shields out of the planning process can lower the value of your business and leave money on the table, so to speak. Don't wait to the end of the year to do your tax planning; some deductions (like depreciation) are pro-rated through the year, so you won't get the maximum savings if you purchase late in the year. A good tax professional can help you maximize tax shields and minimize taxes.